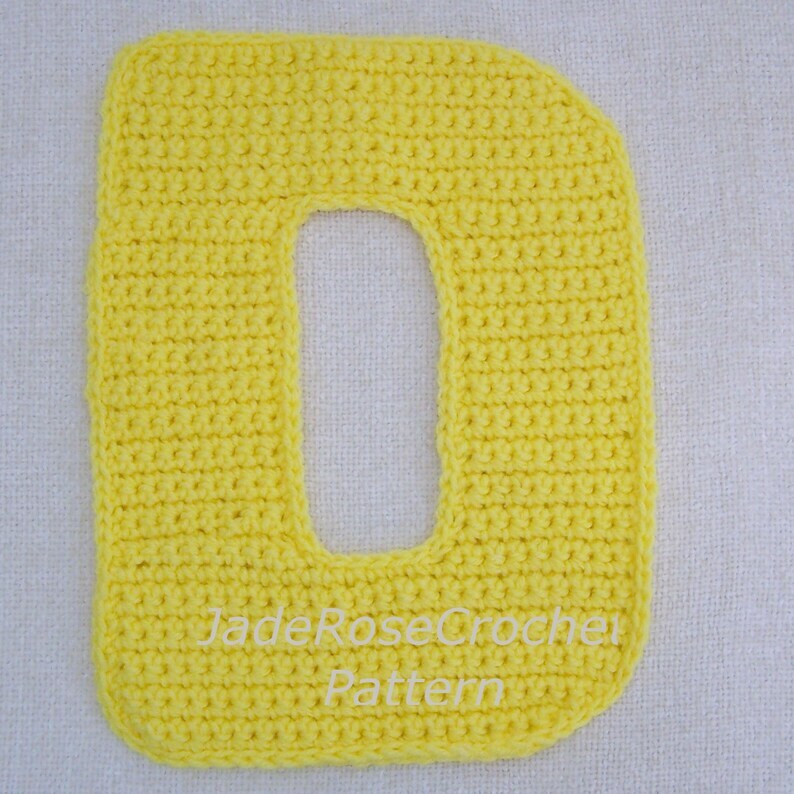 All you need is a basic knowledge of crochet for this simple pattern, perfect for beginners. 1. Refined block pillow with outline around outside of letter - E above. "Great pattern, easy to read :-)"
"Great d pattern thank you "
The Z is the same size as the D. The E is Extra Large and the L is Super Large Chunky. Letters can be used as appliques, or you can make 2 and stuff it for pillows, adding color, and texture to your home decor. Crochet letters are also a great way to teach your toddler letters and colors or to show school spirit in a college dormitory. So versatile - you can spell out a name, an inspirational word like Inspired, or do initials.